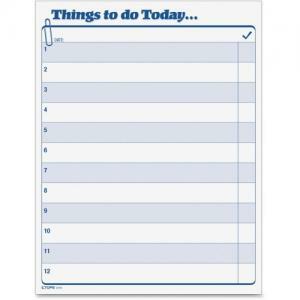 Tops Things To Do Today Pad - 8.5" x 11"
Things to Do Today Pad contains big, bold, attention-getting list forms. Each form includes preprinted prompts for the date and 12 numbered areas to write lengthy or large project descriptions. Each project has a blank box on the right side that is ready to be checked off. 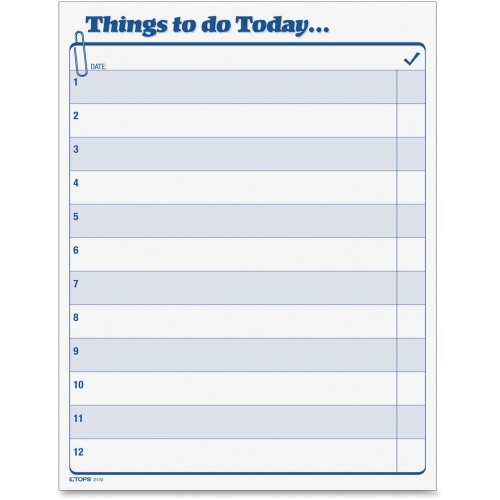 Pad fits on a desk or neatly into a clipboard. Pad contains 100 white bond sheets that are printed in blue ink on one side.